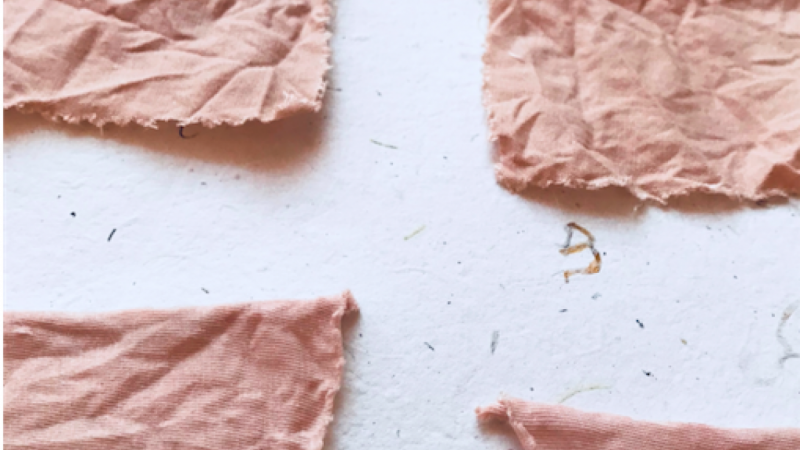 Using only organic plant matter such food waste intended for the compost, and naturally occurring minerals such as iron & aluminum, you will gain knowledge and experiment with the time honored art of natural dyeing. 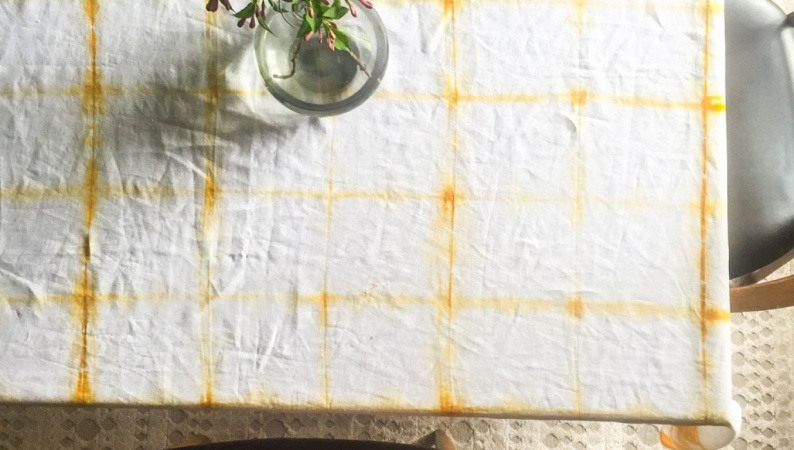 In this class you will come away with an understanding of how to work with natural colors to achieve the most vibrant and long lasting results while learning about traditional shibori surface design techniques. 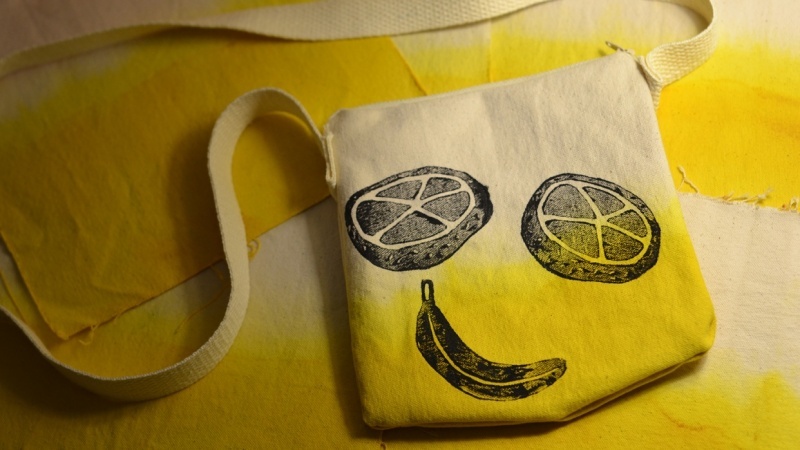 Liz will lead a tutorial in her professional outdoor dye studio demonstrating some of her favorite low impact dye extraction methods using scraps from common food items. Most everyone has had to donate or downcycle garments or linens at some point due to everyday wear, spills, accidents and laundry mishaps. 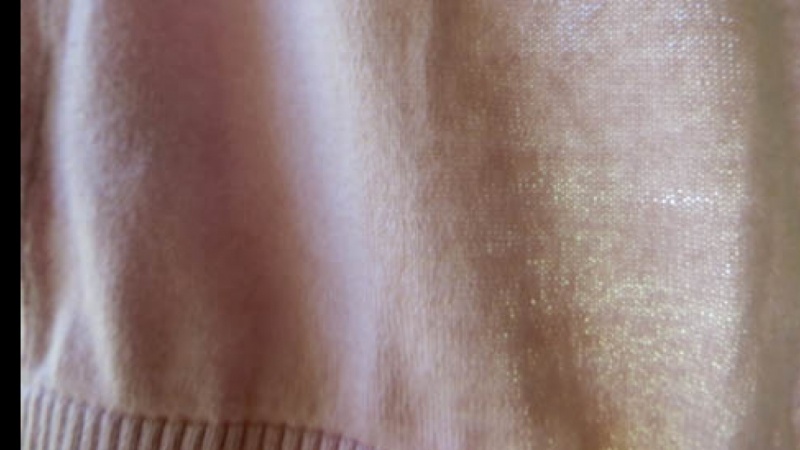 Following the dye techniques from this class, you can mask unsightly stains using accessible, kitchen safe dyes. All you need to breathe new life into an old or stained garment for this project is the food of your choice and a few common household tools. No prior knowledge on textiles or dyes is required. This project is for anyone looking to create and experiment with beautiful colors while doing no harm to the planet, your home and your body. Create A Custom Deck of Playing Cards Using Only Free Tools!